The team came together on June 9, 2011 for a great day full of both networking opportunities and educational seminars at the CT Expo Center. Since this was our first large trade show/ expo in quite some time, we racked our brains to come up with the perfect theme to accurately represent our savvy marketing brand. Since we’re a full-service marketing, public relations, and event planning agency, we knew we needed something that was both young and fun, but also memorable and effective all at the same time. The red carpet pictures turned out to be the best option to reach both prospective clients and partners, and also achieve our desire to increase our Facebook page traffic. 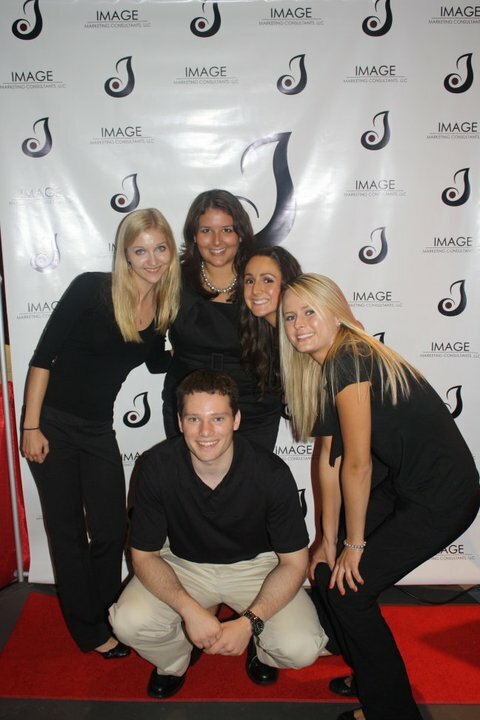 Overall, we took over 75 pictures on the Image Marketing Consultants’ red carpet, and attracted over 200% more traffic to both our website and Facebook page in the three days that followed. We also helped man a few of our clients trade show booths as well so let us know if you need help staffing your booth in the future. Here comes that bias again, but we’re not the best corporate event planners and marketing gurus in Connecticut for nothing! Need some good, creative ideas for your next campaign or special event? Call us today to help plan your next big gig!